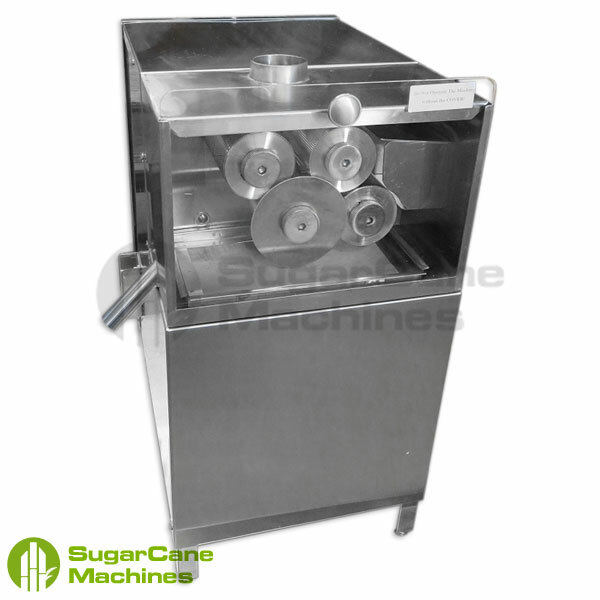 Sugarcane machine juicer for sale. Our sugarcane machine's are manufacturered in USA, they are made to be strong, efficient, durable, and a great purchase for your business. Hit that buy button today or give us a call for more information. Contact us today to talk to a Representative! (305) 681-0023 or Leave us a Message! 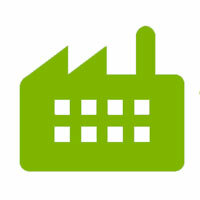 Manufacturer's lead time is 5-7 Business Days for a Sugarcane Machine. Lead time is subject to change based on order quantity. Flat Rate Shipping anywhere in U.S. The RAJA-4J is our most state of the art and effective sugarcane juice extractor, designed with great engineers who aimed to create a excellent performing sugarcane juicer machines for daily use. 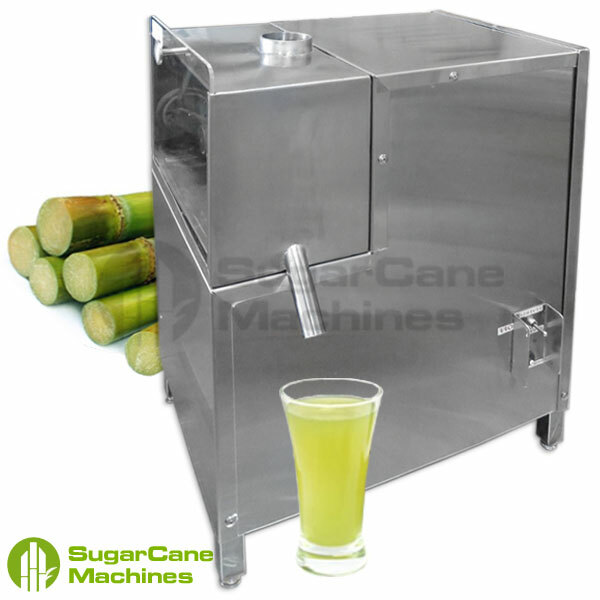 Our Automatic Sugarcane Machine is an extremely efficient stainless steel sugarcane juicer which can extract 99% of the juice content from the sugarcane stalks used, reducing your sugarcane costs as a seller. The cane is pressed 3 times between 4 rollers with one pass technology, by having more rollers this means that there is little to no maintenance because there is less stress on the roller bearings which significantly extends the average lifespan of your machine. If you would like to put the already extracted sugarcane stalk into the feeder again for more juice extraction, you may do so without any problem even though it is uneccesary for our machines. It also features a forward & reverse function as well as a reset button for any situation that may arise. For excellent corrosion resistance, we manufacture our machine with the best 304 stainless steel. Which is great to withstand corrosion and it's durabilty makes the 304 stainless steel easy to sanatize and ideal for your kitchen. The 304 Stainless Steel is used in parts of the machine, like the spout, and other important areas of the sugarcane machine that will increase it's life of use, making this a great product that will be with you for the long haul. The gear box & rollers are built for durability and strength like no other sugarcane machine on the market. 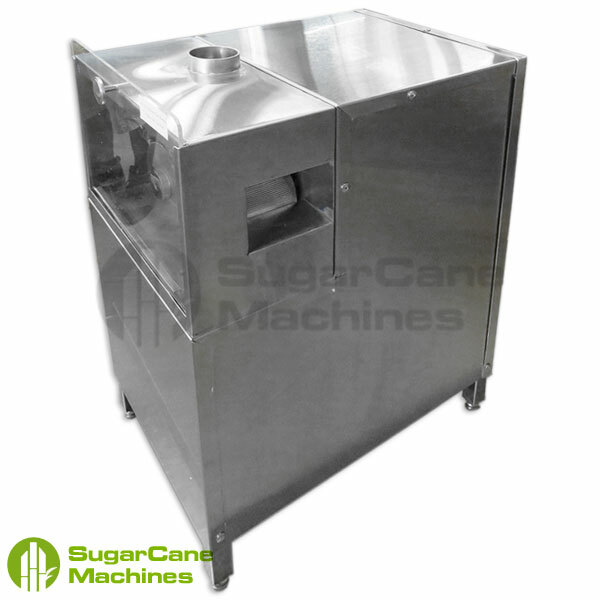 Cleaning this sugarcane juicer system was made easy, simply remove the clear coated panel located by the rollers, then just wash & rinse away what was left after extracting your sugarcane juice. Read more on sugarcane machine maintenance from our articles and blog page. RAJA-4J is a great counter top sugarcane extractor, it works in many different enviroments & businesses, including restaurants, bars, kiosks, malls, or on a cart to park on the street. Contact our manufacturing company, US Ice Machine Mfg Co. for more information today, 305-681-0023. Due to our constant product improvement, Prices & Specifications are subject to change without prior notice. Contact our manufacturing company, US Ice Machine Mfg Co. for all sugarcane machine infomation & inquieries. In every case, making contact and communicating with us is mandatory. We are here to help, let's work on a solution together. Contact us for warranty verification, then a RMA number will be assigned to you after your return was approved. Any returns without an approved RMA number will be considered unauthorized and returned back to the original sender. We provide a 90 day parts warranty for our sugarcane machine & 1 year warranty on the motor & gear box. If there are any problems with the machine after delivery, then contact us for warranty verification, an a RMA number will be issued for the machine. During the warranty period, shipping costs for the sugarcane machine will be the sole responsibility of the customer and is non-refundable. Any damages or missing items during transit is not the responsibility of the seller. After the 90 day parts warranty period is finished, we are still here to help our valued customers in the case that anything goes wrong. 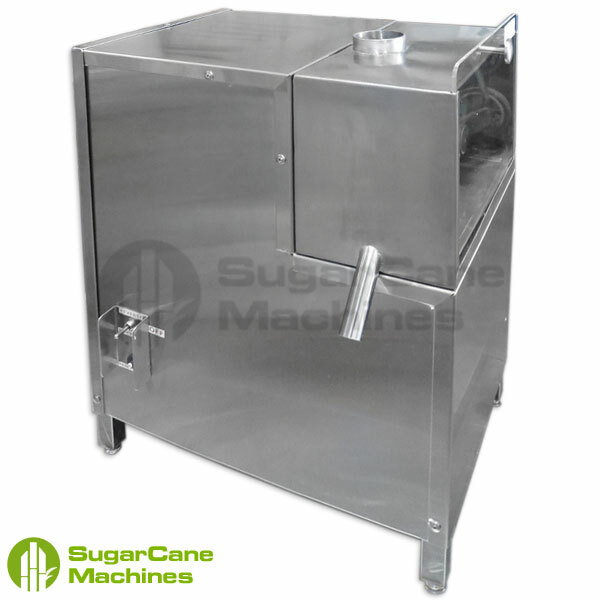 Sugarcane Machines are made with quality, designed for longevity & are easy to maintain. In the case that your sugarcane machine arrives damaged or malfunctioning, we recommend you follow these simple guidelines properly. 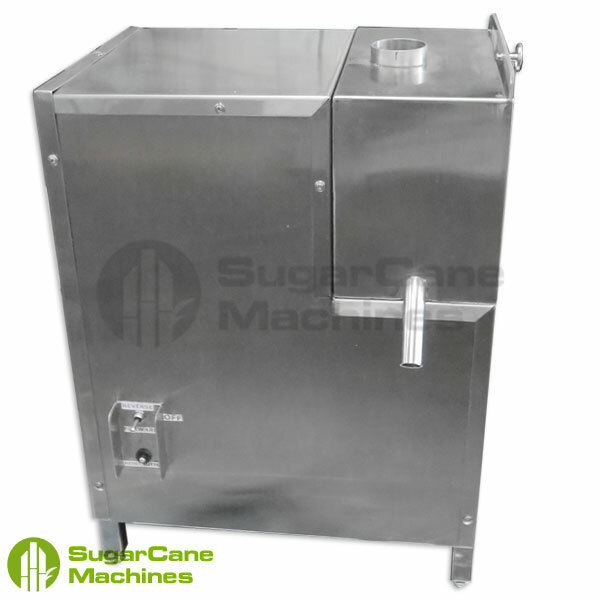 The sugarcane machine must be returned in its original crate, unused, and must also include the instruction manual and all moving parts from the original shipment. The Customer is responsible for shipping the machine back to our manufacturing warehouse. 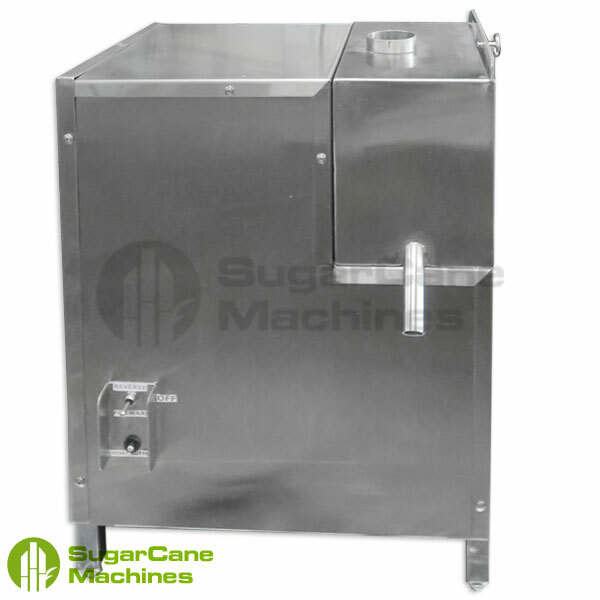 Once we receive the sugarcane machine and inspect the unit, and if it's in proper working condition with no damages or missing parts then we will process the refund for the price & taxes of the purchase; shipping fees are final and non-refundable. Damaged items or missing parts must be reported as soon as the machine is delivered to your location. If this is not reported immediately, then your claim will not be accepted. 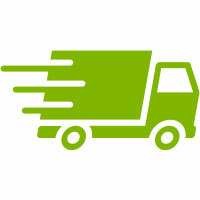 Before accepting a delivery, inspect your shipment to see if there are any damages or missing parts. In the case something does go wrong, properly document these details and report them as a claim to the carrier and contact us. To ensure proper documentation, please include pictures of damaged or missing parts in order to file a proper claim.